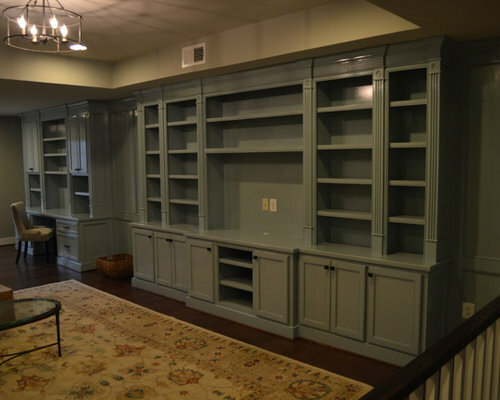 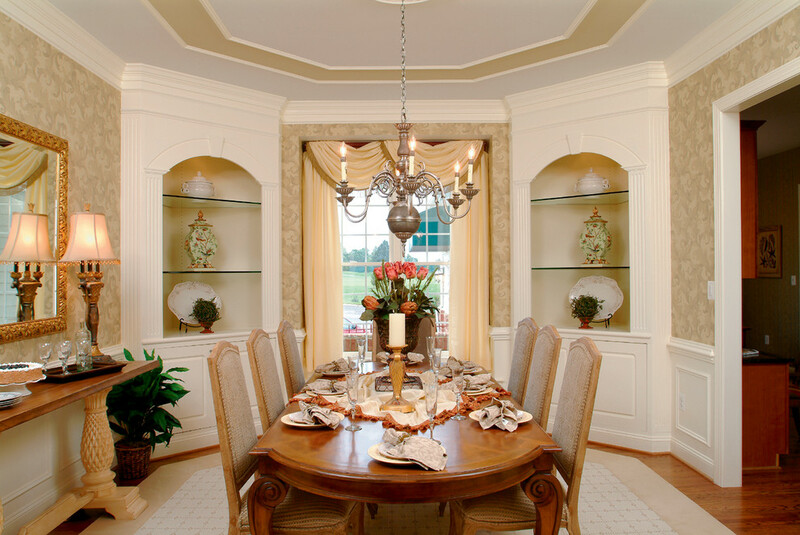 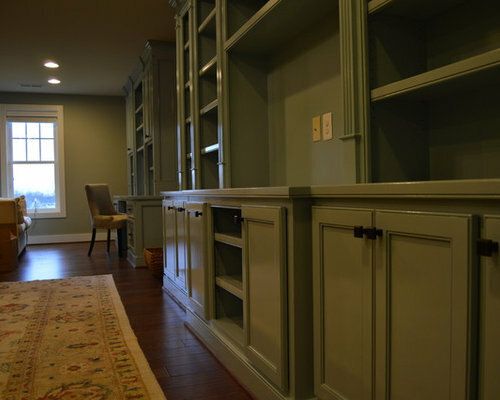 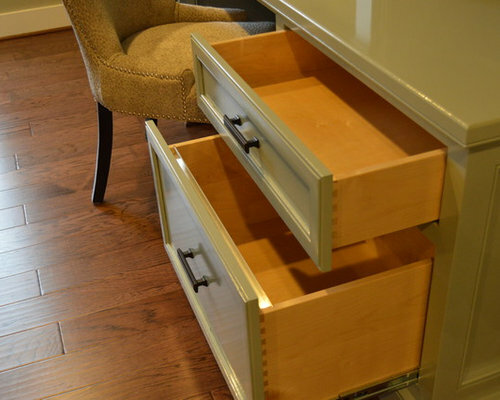 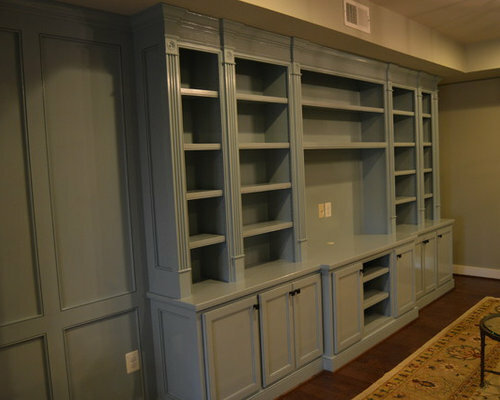 Custom built-in cabinetry that includes an entertainment center section and a desk workstation area. 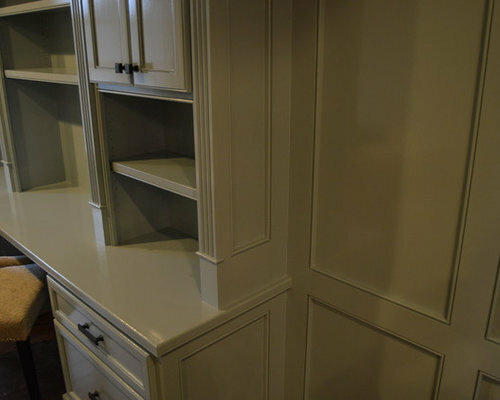 Custom built-in cabinetry that includes an entertainment center section and a desk workstation area. 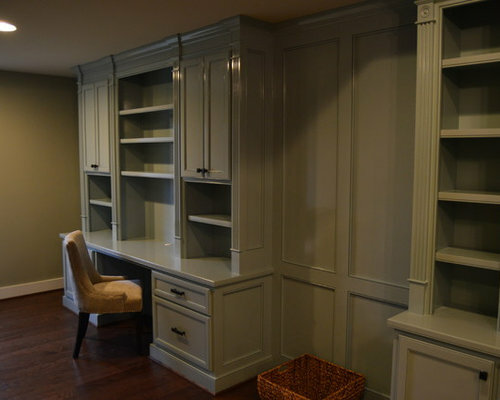 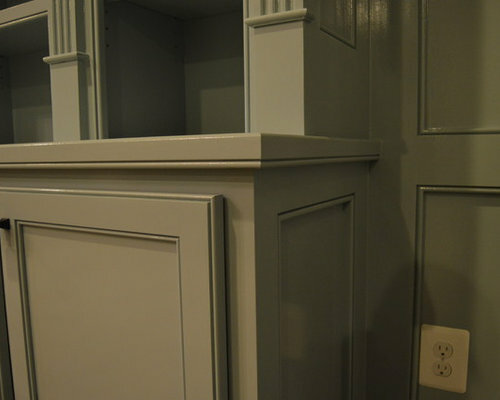 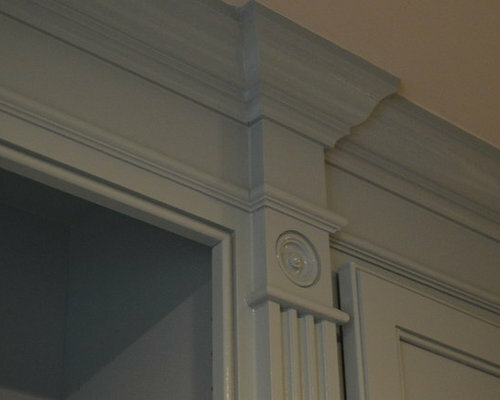 This is the desk area side... also notice the wainscoting between the built-ins. 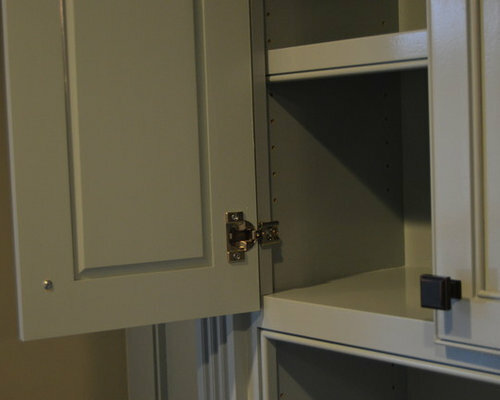 Close up view showing the beaded maple overlay doors with concealed soft closing hinges.